BBC’s FIFA World Cup promo uses thread to quite literally “weave” a story. The promo starts out with a wide and seemingly out of placed view of a spinning spools of multicolor threads. However, the camera viewport switches to an overview view, revealing the spools to be part of a high tech automated loom of sorts. 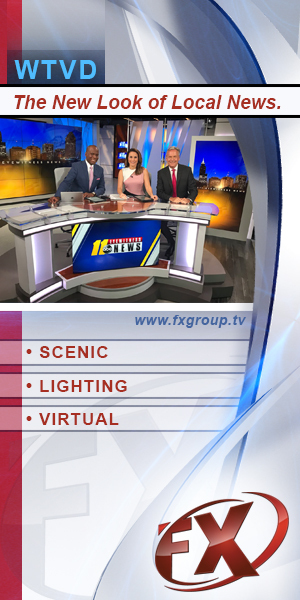 Soon, viewers are immersed in full screen animations that combined a threaded, textural look with stop-action style animation depicting players, fans and action on the field. In the background, Russian folk song “Oche Cheryne” by the Lonond Metropolitan Orchestra featuring John Tomlinson is heard in an operatic style, blended in with the sound of machinery and spinning spools. 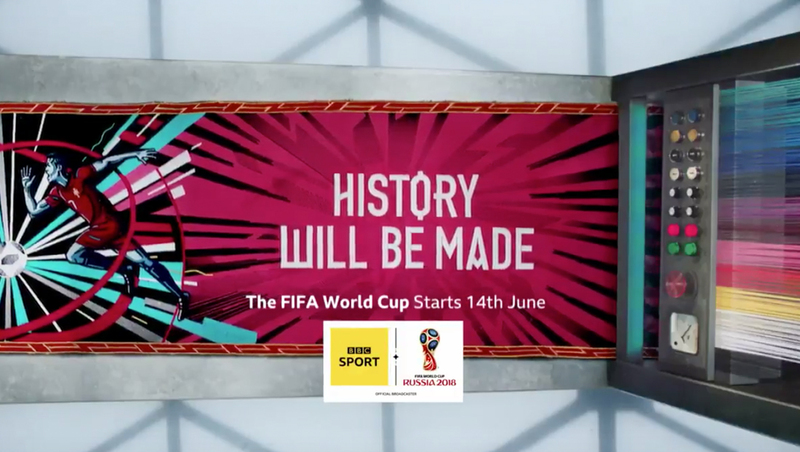 At the end of the promo, the view switches back to the high tech “loom” with a “history will be made” tagline and featuring a male British announcer.